A couple of days ago, I made the trek uptown to see the new tumor doctor for the read on my MRI. The hospital, Mount Sinai, feels like a haul every time I go there. It isn’t close to the subway and that part of Manhattan is hilly. Choose the wrong street and suddenly you’re walking uphill way more than your chosen shoes will tolerate. There have been times when I have cried in nervous anticipation on my way to the appointment, and others when I have cried upon leaving, feeling relief. Anyway. There’s good news! 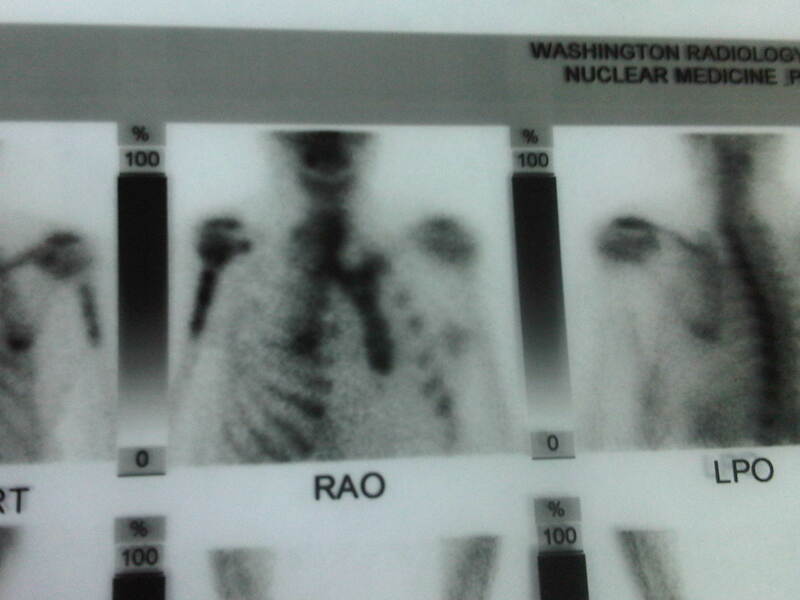 The MRI showed no change in the mass/tumor/thing. It’s still 8 centimeters. Status quo is what we hope for. The doctor initially said I should come back in one year, but eventually decided two years would be fine. “This is a lifelong follow-up, Jennifer,” the doctor responded. I’m not sure if I misunderstood my previous specialist’s* plan or if the two doctors differ in opinion regarding following my case. But my current doctor made clear that although extremely rare, tumors like mine always have the potential to become cancerous thus the periodic monitoring. Unless my arm starts hurting – it’s asymptomatic now – I won’t get my next MRI until Fall 2017. Taking the tumor out now is an option, however it’s a highly invasive surgery involving cutting my upper arm open from my shoulder down to almost my elbow, sawing into the bone, scraping out the abnormal contents, filling it with a bone graft and then closing the whole thing up. Recovery would be months not week. So, like, no to surgery if it isn’t absolutely necessary. But thanks for offering. *This is my previous doctor. He got recruited away I assume because he’s doing amazing things, including advances in limb-sparing surgery, for his patients. He is an author too. This entry was posted in Life stories and tagged bone, cancer, enchondroma, humerus, Mount Sinai, tumor on October 4, 2015 by onechicklette. Congratulations OC – that is great news. You’re so brave. I would be freaking out if something like that was happening to me. And yeah, nice to have some good news! Thanks Ben. Just doing what I have to! Good news at last, Jen. I hope status quo lasts forever on this thing. Knock on wood.